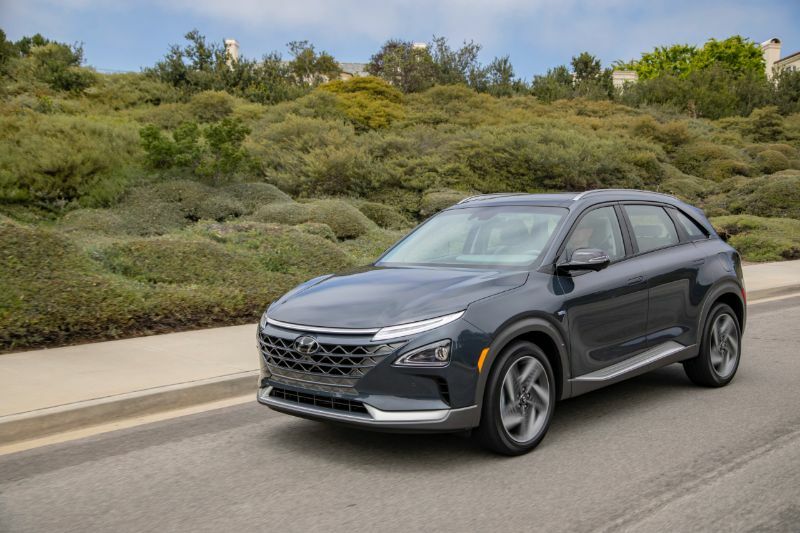 The 2019 Hyundai Nexo is the latest hydrogen-powered auto to enter the market. Hyundai’s entry shows another option of what a hydrogen-powered vehicle can do and follows the idea that hydrogen may be the future of green vehicles. Compared to the other fuel-cell vehicles on the market, the 2019 Nexo feels more like an average car instead of a futuristic vehicle. 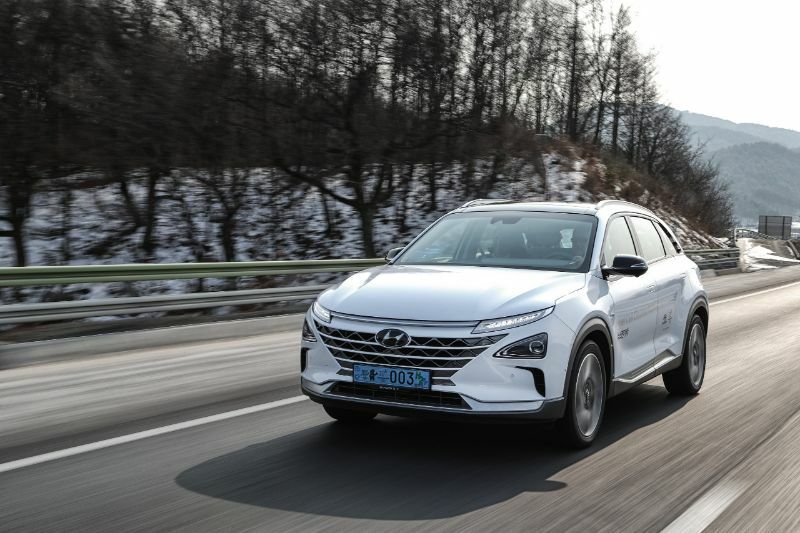 As a fuel-cell vehicle, the 2019 Hyundai Nexo’s powertrain uses pumps to send hydrogen from the auto’s fuel tank to combine with oxygen from the air. These meet in the fuel-cell stack, where chemical reactions take place to convert the gasses into water and electricity. The electricity runs the electric motor while the water turns into vapor and evaporates. In the Nexo, there is a 1.56-kilowatt-hour battery that stores extra energy from this fuel cell and energy from regenerative braking. 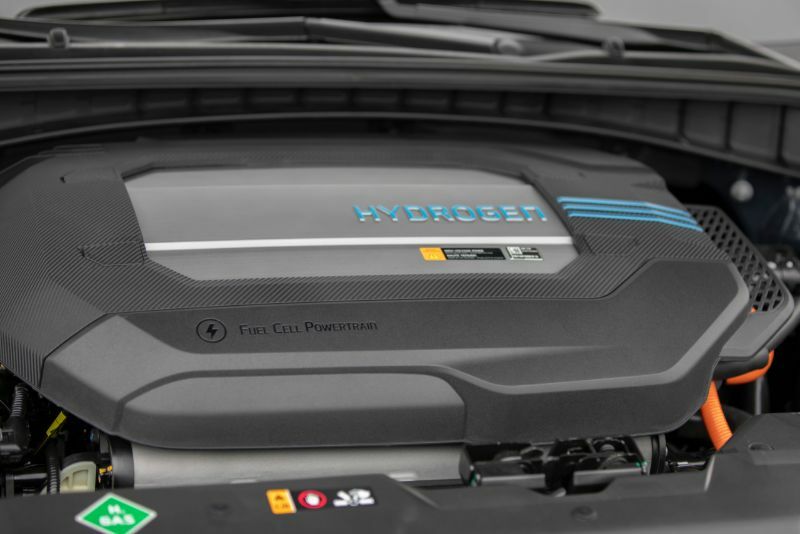 The 13.8-gallon tank can hold 14 pounds of hydrogen, leading to a range of 380 miles on the Blue trim or 354 miles on the Limited. Efficiency is 61 MPGe for the Blue or 57 MPGe for the Limited. Compared to electric vehicles currently available, the Nexo’s hydrogen engine has a better range and much quicker refueling time. The Nexo delivers 161 horsepower and 291 pound-feet of torque, which is enough in nearly every situation. The zero-to-60 time is 9.5 seconds. This Hyundai also lets you select your regenerative braking level, and the battery’s recouped energy can power the front wheels of the auto. As mentioned, the styling of the 2019 Hyundai Nexo is not as odd as some of the other hydrogen-powered vehicles on the market. It does have a more futuristic design than other Hyundai models. However, it still looks like it belongs within the automaker’s lineup. The Nexo has crossover design language, which Hyundai chose based on the fact that American drivers tend to prefer SUV seating positions. Overall, the styling of the Nexo is very similar to other crossovers. Yet it does have some styling cues to let you know it is an eco-car. This includes the door handles which retract flush in the bodywork, the running lights trip on the nose, the drag-reducing “air tunnel” D-pillar, and the aerodynamically optimized wheel designs. 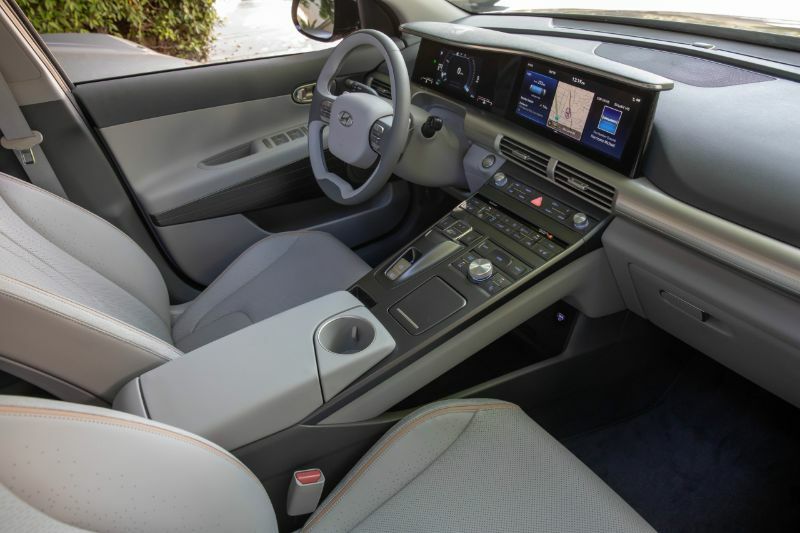 Inside the Nexo’s cabin, you will notice a more cockpit-like appearance than other Hyundais. The center console is tall and filled with many buttons. You will find infotainment controls as well as those for the cooled seats. Under the console, the storage area features additional USB ports and wireless phone charging. A fully-digital color instrument panel supplements this tech. The infotainment system uses a 12.3-inch touchscreen that is widescreen that includes a rotary dial. This system handles expected infotainment features as well as Nexo-specific functions, like energy-flow information. There is also plenty of safety tech, including remote self-parking. As a crossover, the 2019 Hyundai Nexo has more than enough space in the rear seat for adults to sit upright in comfort. In terms of cargo, you can access 29.6 cubic feet if you keep the rear seats upright or 56.5 cubes when you lower them.